This project investigates the use of novel and intuitive interaction techniques to support adaptive binning and grouping of data at the GUI level. 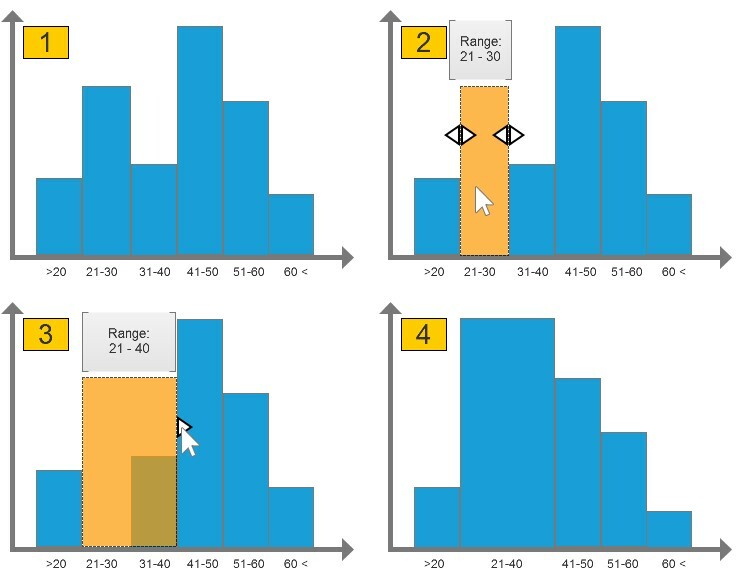 Currently, exploratory data analysis tools only support the indirect manipulation of binning and grouping through interaction with various menus and sub-menus. We are investigating embedded interactions that enable a user to directly manipulate these criteria through interaction with graphical elements of a visualization. Footprint-II, a visual analysis history tool, was built to support coordination between analysts who worked in a different time/different place setting. The tool visualized the history of prior data explorations from three distinct angles: coverage of dimensions (e.g. 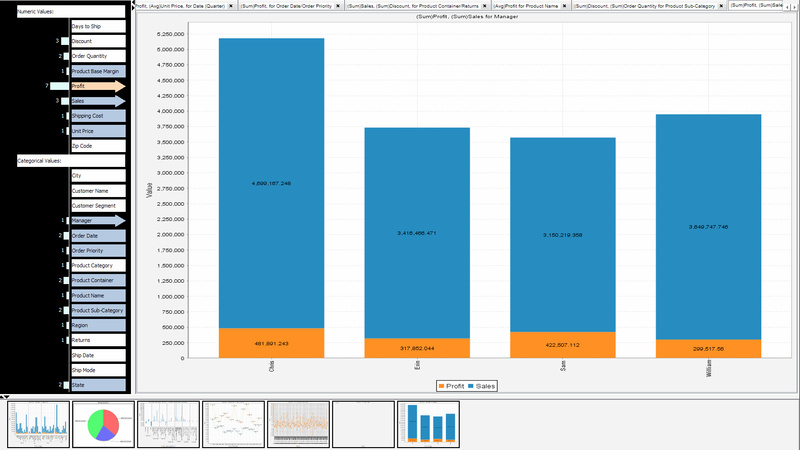 Sales, Profit, Inventory Cost), coverage of data values, and the branching structure of the analysis. Our evaluation of this technique showed significant improvement in analysis coordination. Users of the tool better identified prior coverage by other and showed a greater focus on uninvestigated aspects of data. 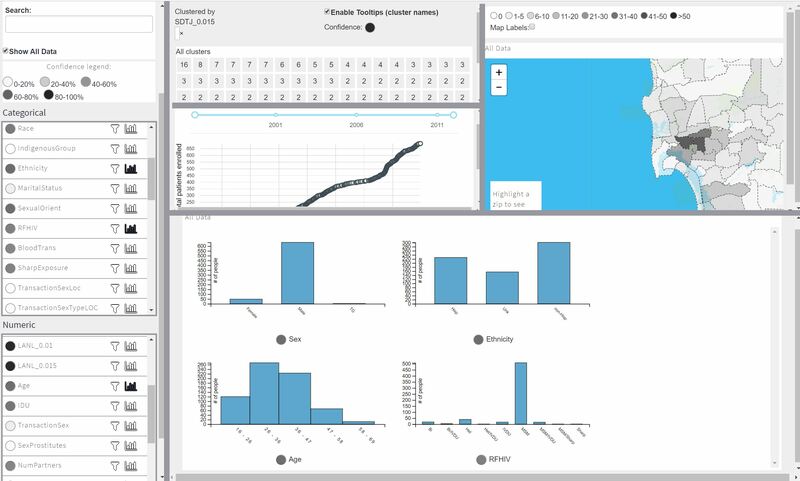 Footprint, a visual analysis history tool, was built to support coordination between analysts who worked in a different time/different place setting. The tool visualized the history of prior data explorations from three distinct angles: coverage of dimensions (e.g. 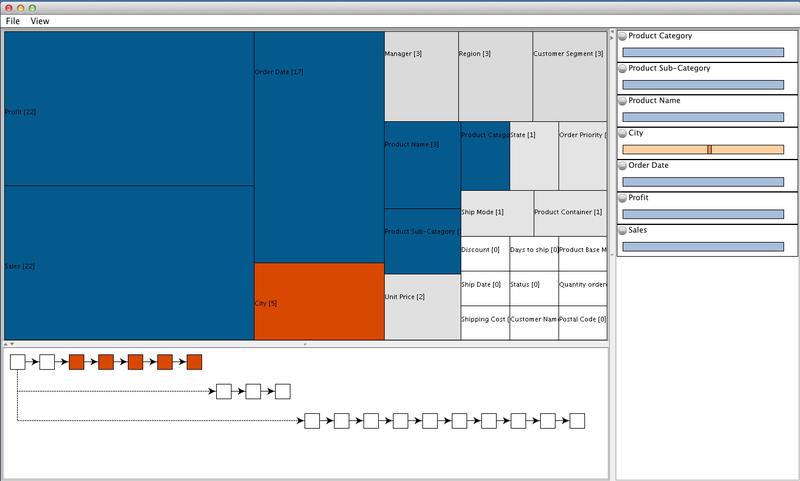 Sales, Profit, Inventory Cost), coverage of data values, and the branching structure of the analysis. Our evaluation of this technique showed significant improvement in analysis coordination. Users of the tool better identified prior coverage by other and showed a greater focus on uninvestigated aspects of data. CoSpaces was tailor-made for collaborative Visual Analytics on large interactive surfaces. The tool introduced a fluid workspace that can be used individually or in collaboration with other. Multiple workspaces could exist simultaneously. 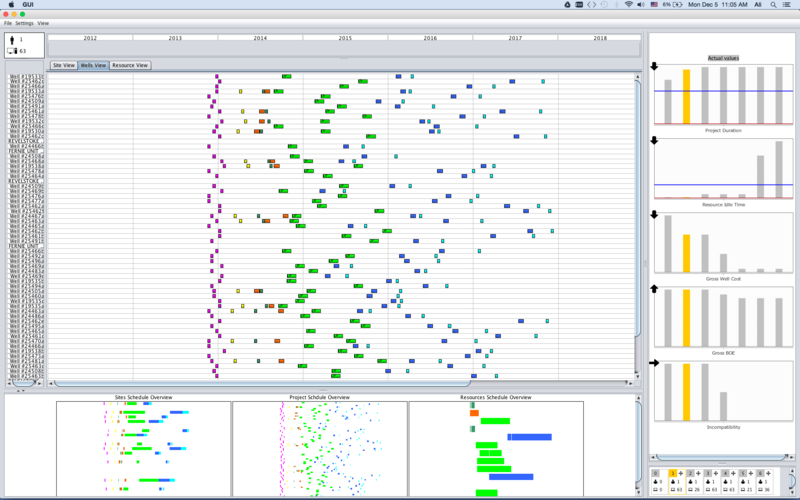 Each workspace contained a history module that tracked and visualized the analysis history in the workspace. It also provided remote viewing of the analysis history of other co-existing workspaces. Each workspace could be fluidly panned, resized and rotate on the surface for the table. This design enabled users to easily potion or move their workspaces based on the dynamics of their collaboration at any time. In oil and gas industry, upstream operations have large complex schedules. Creating and maintain these large schedules requires expertise and tool support. The interconnected nature of many activities makes changing/updating/optimizing schedules a sensitive task. For instance, a small change in a single activity duration can large impacts on schedule duration and operational costs. In this project, we designed a visual solution to assist schedulers in understanding the identity (what changed) and magnitude (the effect size) on a schedule from different angles.